I’m struggling so I’m gonna have a vulnerable moment with y’all, and I know many won’t agree and that is totally fine. I can’t take much more of y’all posting these pictures and videos of black people hugging and praying with (white) counter protestors, black people smiling with the police, little black and white kids being friends, etc. I mean, it is wearing me out. It’s not because I don’t believe these things happen or should happen. It’s just that clearly, these things do not keep black people from experiencing injustice. So clearly, they are not the solution. Even with “good officers” and black people and white people being friends, black people are still being murdered by police, receiving harsher sentences in court, going to under resourced schools, making lesser wages in the same positions as white people, and experiencing many other forms of injustice. None of these posts and videos acknowledge or address this. 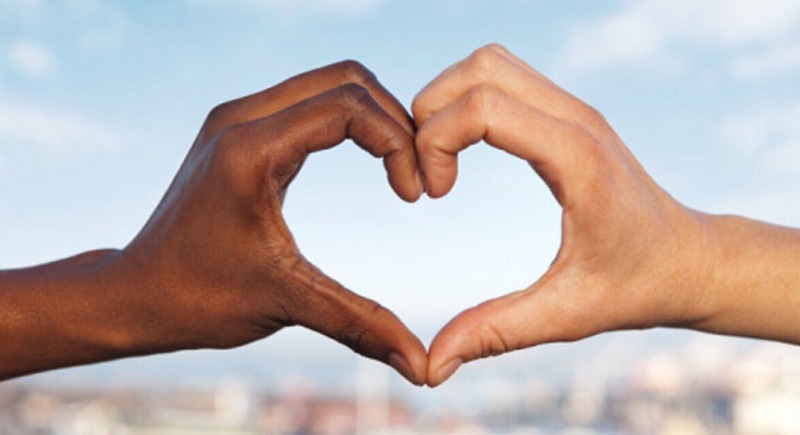 These color-blind, “we’re all one” videos and posts are not going to get black people free. They actually are keeping us from freedom. Every time you post these things (and I see both black and white people doing this), you give people the opportunity to ignore the plight of black people. You are sending the message of, “see, it’s not that bad. There are still good people.” And that causes you and others to ignore the injustice and issues that ARE actually happening. This only causes people who don’t understand #BlackLivesMatter to further believe that this movement is not necessary. These messages are so neutral and we know that if you’re neutral, you have chosen the side of the oppressor. Stop being neutral. 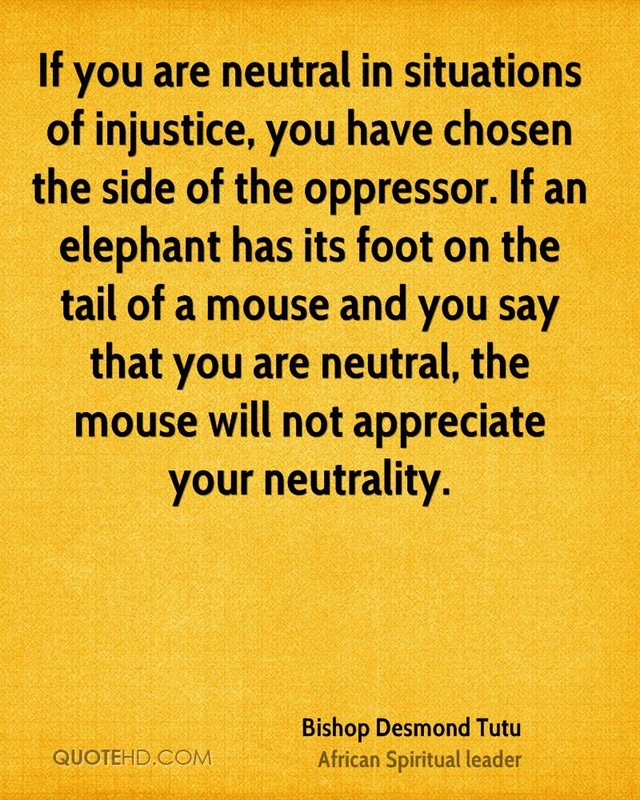 Your neutrality does absolutely nothing for those being oppressed. Your neutrality is not helping the families of #AltonSterling, #PhilandoCastile, or any other police brutality victim get justice. It’s actually making it harder for them to because you’re countering what their loved one experienced. You’re basically saying, “yeah I know an officer killed your family member but look at this officer playing with this cute kid…everything is fine.” This stuff is the biggest slap in the face to these families and this movement. Change will require us to acknowledge and call out these issues directly, not generally or subliminally (that’s the problem with #AllLivesMatter). If you were at work or having an issue at home, you would not go about developing and identifying a solution in a indirect way. If you were sick, you wouldn’t want your doctor focusing on less relevant, indirectly related parts of your body to heal you. You would want them to address the problem head on. So why do we think this is an appropriate solution when it comes to the injustice of black people? Some of you need to realize that you are in denial. And honestly, I get that. No one wants to accept that our world is this messed up. It’s hurtful, depressing, frustrating, all of that. But we know that the first step to overcoming a problem is admitting that we have one. So please, if you really want change to happen, please get out of denial and call it what it is. I am not anti-unity but what I am not going to do is promote (a neutral) unity as the ultimate solution at the expense of us ignoring the real issue. No. Not when people are being murdered. Unity is necessary but what’s really going to bring justice and keep more people from becoming hashtags is acknowledgement and change to the systems, like police organizations, that are systemically racist. Not your little touchy, feely video. 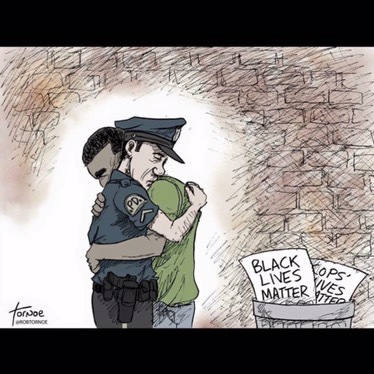 If you want to promote true unity, unite with us and stand up against these racist and unjust systems. People coming together and fighting against wrong, regardless of their race, socio-economic status, religion, nationality, sexuality, and any other identity, will show organizations and our government officials that it’s truly time for change. And that’s the radical type of unity we need.